"ROKURO" means "potter's wheel" in Japanese. You can create revolution shaped mesh from sprite with this asset. Please watch the quick start video below. 1. Import an image file with alpha channel. 2. 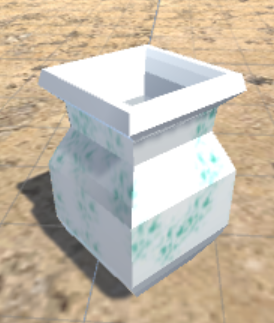 Set the texture type "Sprite" and press "Apply" button. 3. Drag and drop the prefab "Rokuro" onto the hierarchy. 4. Drag and drop the sprite (made in step 2) onto the PolygonCollider in the Rokuro instance. 5. Adjust the PolygonCollider by Offset so that it makes the correct shape when rotated. 6. Right click the Rokuro component and press "Build". 7. If the surface is reversed, toggle the "Reverse" checkbox and retry "Build". Right click on the Rokuro component to execute commands. Build a mesh by rotating PolygonCollider information. Save the mesh as an asset. 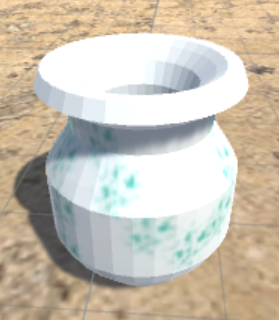 Saved asset can be applied to any MeshFilters or MeshColliders. If checked, surface is "virtically" flat. If checked, surface is "horizontally" flat. How many circle is divied into. This must be equal to or larger than 3. If checked, created surface will be reversed. In which case it "looks" reversed depends on the relative position of the shape of PolygonCollider to rotation axis. 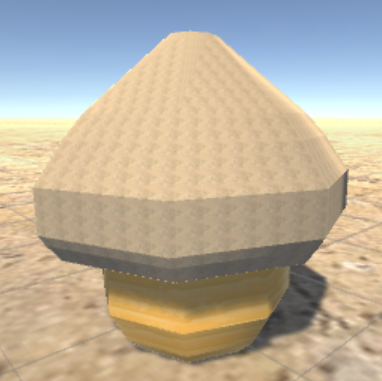 If checked and the sprite has multiple parts, mesh will be separated into submeshes. 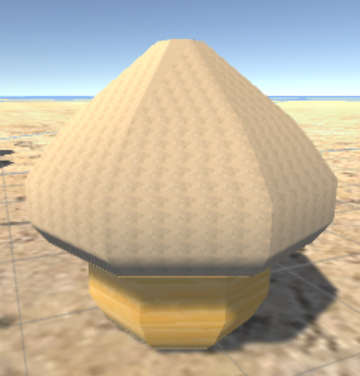 Then MeshRenderer is required to contain as many materials as submeshes to be rendered correctly. The order of submeshes cannot be controled.